November 9th, 2010, marks the 6th anniversary of the American-led Fallujah offensive in Iraq; which included some of the heaviest urban battles US troops faced since the Vietnam War. Fierce street fights continued for several months and left the city heavily damaged. The ongoing reconstruction process in the nation has been a failure, argued a former US department of Defense contractor who worked in Iraq. Michael O'Brien, the author of "America's Failure in Iraq" explained that the whole reconstruction process in Iraq was a sham. O'Brien worked as a US Department of Defense contractor in Iraq as an advisor to the Iraqi Ministry of Defense, advising on infrastructure issues. “All we even hear, even before I got there in 2006, was how the Iraqis are doing great, they could take over anytime they want. General Casey was even saying we could leave anytime, we didn’t even need to add more troops and it was absolutely not true, and I was there on the group, I saw it,” said O'Brien. He explained that the Iraqis had little say in how things functioned, how the government was formed or where things would even be placed. The Iraqi government was ill prepared to transition to power and unable to run the nation adequately. The US did not have enough forces to protect the Iraqi people from militant forces and the Iraqi government did not have a security infrastructure in place to protect their own people. However, the US Government continued to say the reconstruction and transition process was going well, said O'Brien. 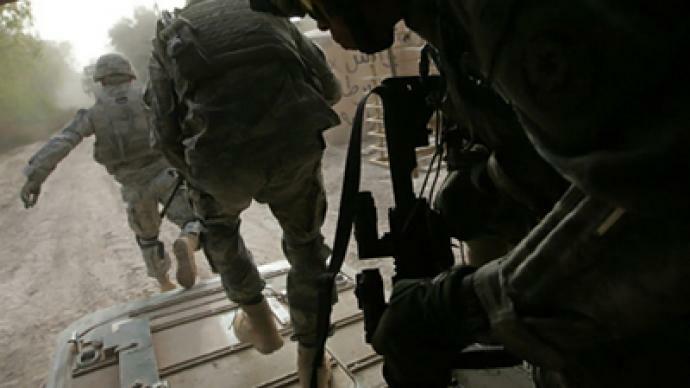 The earlier failures of the US government led to the second offensive and the Iraqi surge in 2007, leading to an increased Iraqi death toll, accusations of US war crimes and human rights abuses and the Black Water contractor scandal. Although US combat troops have left Iraq, O'Brien explained that a great number of contractors remain, including Black Water who now operates under the name Xe Services.